May 5th. When many people hear this date they think of the Mexican American holiday, Cinco de Mayo: a recognition of their pride, honor and ethnicity. 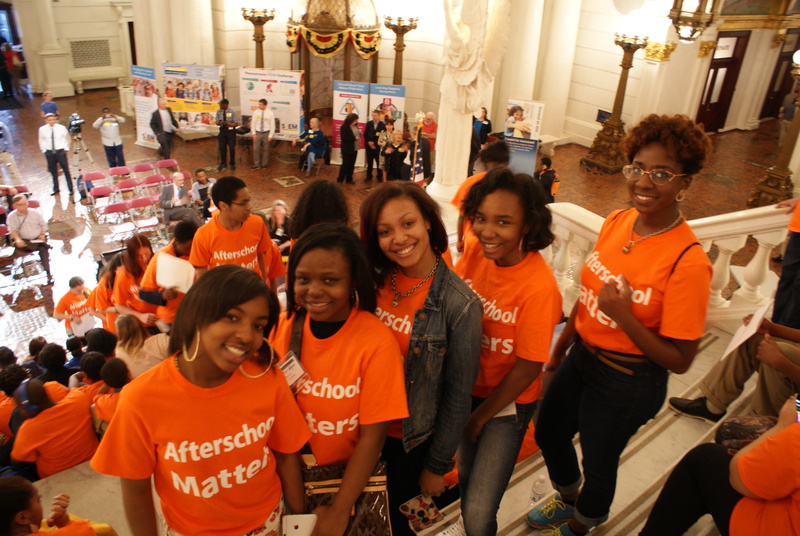 However, on May 5, 2015, local students from Pittsburgh and surrounding areas went to the state capital to recognize their participation and pride in after school programs. 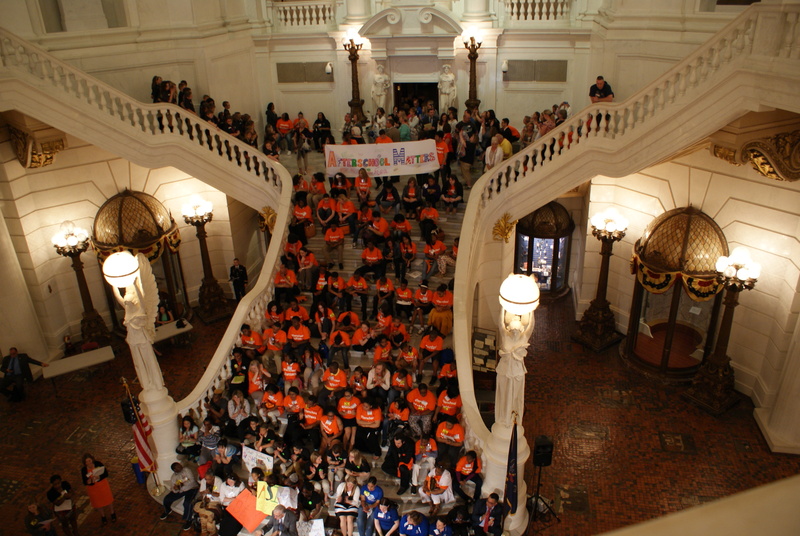 This is the second year in which partners APOST (Allegheny Partners for Out-Of- School Time), PSAYDN (Pennsylvania Statewide Afterschool Youth Development Network), and PENNSACA (Pennsylvania School-Age Child Care Alliance) collaborated to create a day where youth voices are heard by their state senators and representatives. 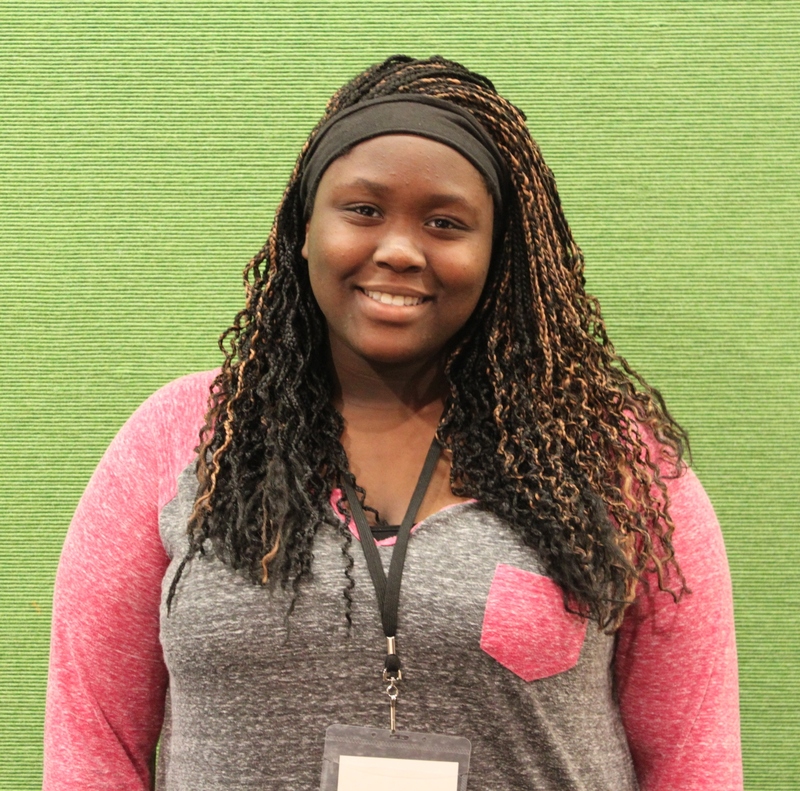 Youth Advocacy Day not only helps further the knowledge and drive on the importance of after school programs, but it also encourages students to participate as active community members trying to aid the future of the next generation. This year Youth Advocacy Day included over 100 people from Allegheny County alone. In the early morning three buses departed from the Pittsburgh area and arrived in the capital later that afternoon. 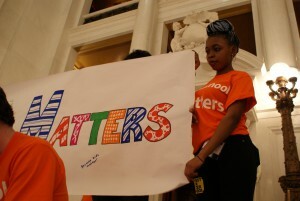 While in the capital, student representatives were given brief tips on meeting with the legislators and representatives that included important messages to be conveyed such as the motto, “Afterschool programs… Keep Kids Safe… Inspire Learning…Help Working Families.” This motto is nothing but the truth. In 2014, data shows that 18% of children are left unsupervised after school for about three hours. 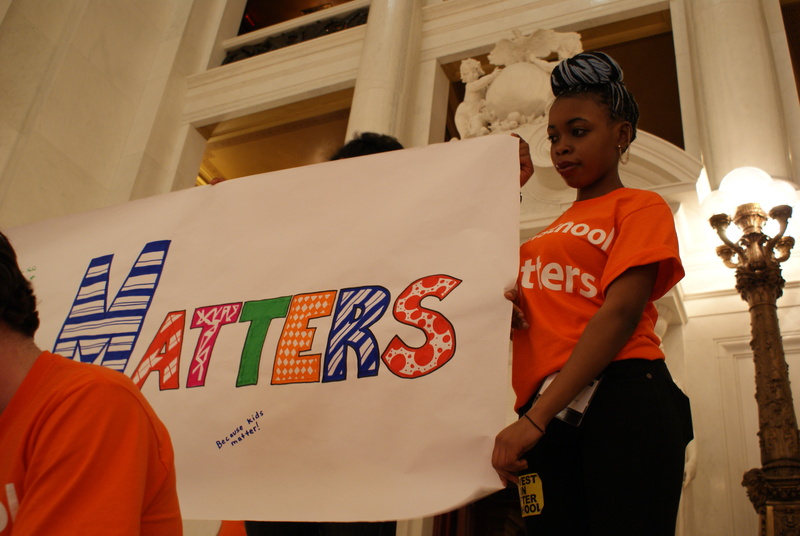 74% of parents in Pennsylvania agree that after school programs help working parents keep their jobs, and in Allegheny County there is a 28% (52,646) participation rate in after school programs compared to 17% of Pennsylvania as a whole. After receiving tips, students were sent to the capital building to attend meetings with legislators. I myself was supposed to attend a meeting with Senator Wayne Fontana of the 42nd district (Allegheny County), but due to other pressing matters he was unavailable. While it’s important to keep in mind that state legislators lead important lives and that Fontana is indeed a supporter of afterschool programs, we were left with the question: could it really be that hard to take a few minutes and meet with the kids who hold the future loosely in the palms of their hands? Luckily we were able to meet with his representative after a series of calls, so we passed our messages along. 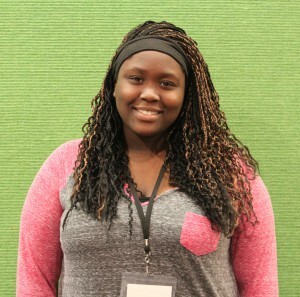 Students were encouraged to share how afterschool programs impacted their lives, much like a boy from Pittsburgh Langley K-8 did. He spoke to Senator Wayne Fontana’s representative about his fondness for afterschool programs. He also mentioned how he’d love for more people to be able to have the opportunity to join because of how much fun it is. Pittsburgh Langley K-8 is located in the West End of Sheraden and their afterschool program runs Monday through Friday until about 5:30 in the evening. A unique feature that their program includes is the inclusion of Saturday field trips. Sadly, the funding for their after school programming is running low much like many others in the county. In the meeting two of the teachers from Langley also spoke of an incident in which there was not only a shooting but also a death in the school’s neighborhood. Had the children not been on the Saturday field trip they would’ve likely witnessed the event while playing in the streets.